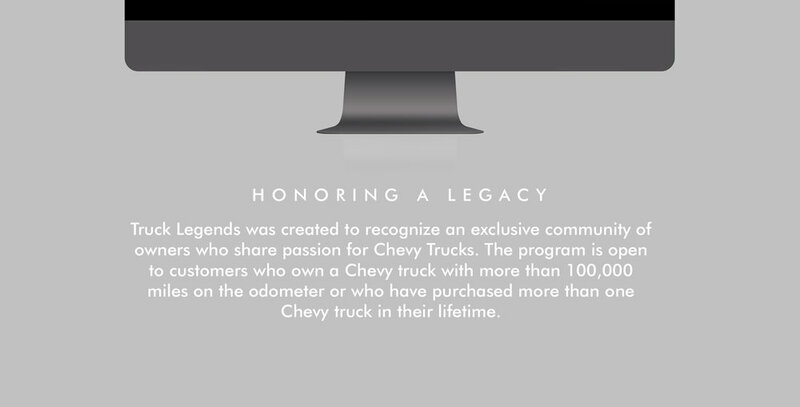 The Truck Legends program was designed to honor Chevy’s most loyal owners. 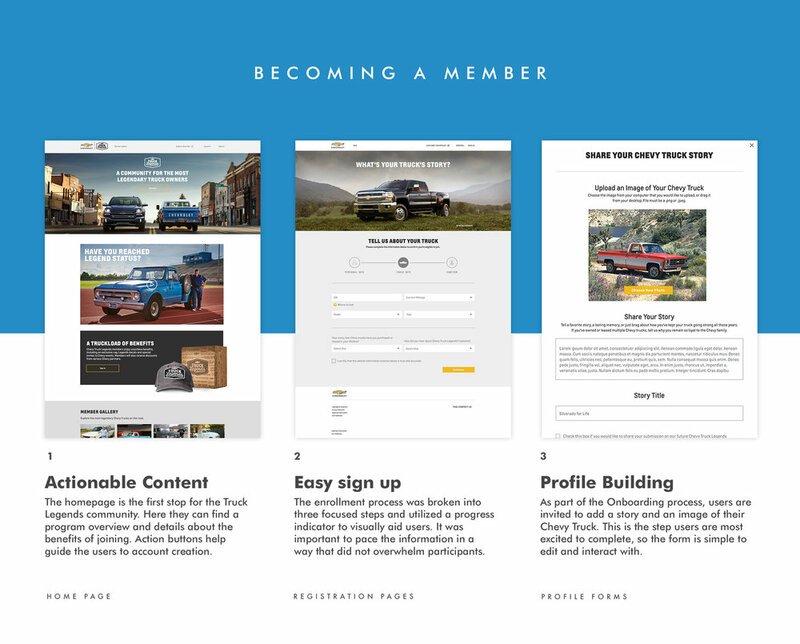 In celebration of this exclusive community, we created a website and social platform for Truck owners to share their stories, stats and favorite images. We wanted the needs of all participants to feel considered—especially those who are not comfortable with the web. Page layouts, interactive elements, and forms were simplified in a way that helped to inform and guide without overwhelming users.